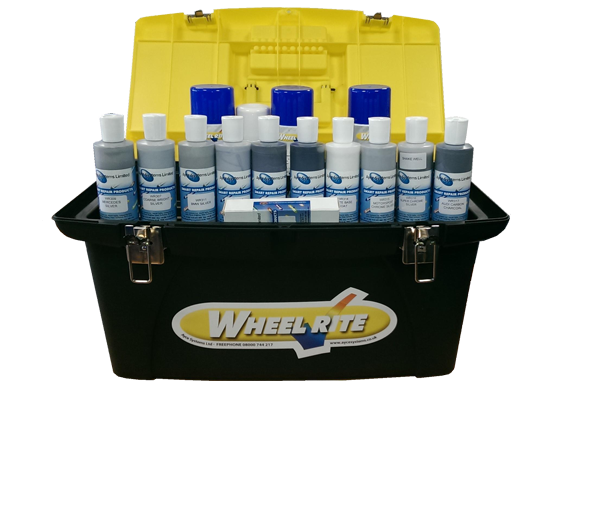 Designed for the occasional alloy wheel repairer, Ayce Systems has introduced a low cost waterbased starter kit for the refurbishment of minor damage to alloy wheels. The kit consists of the 9 most popular wheel silvers, an Audi Carbon, Black & White base coat, alloy prep, alloy primer, alloy cleaner and a 30 second cure alloy filler. All bottles are 200ml. The kit also includes a colour matching swatch for easy identification of colour choice and is all supplied in a sturdy tool box for easy portability and convenience.